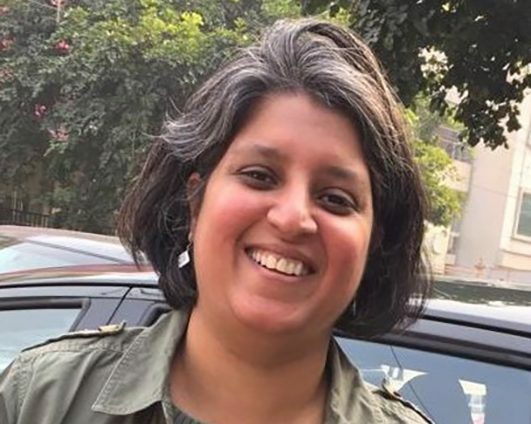 Kanchi Kohli is the Legal Research Director of the Namati-Centre for Policy Research Environmental Justice Program in India. She has worked on environment, forest and biodiversity governance in India for over two decades. Her work explores the links between law, industrialization and environment justice, and draws empirical evidence from sites of conflict and locates it within national legal and policy processes. She co-coordinates an Information Dissemination Service for Forest and Wildlife cases in the Supreme Court of India and also the Campaign for Conservation and Community Control over Biodiversity related to the implementation of the biodiversity regulation in India. Kohli has individually and in teams authored several books and publications. She was awarded a fellowship at the Fulbright-Nehru Environment Leadership Program at Department of Law, University of California, and has been on the U.S. Government’s International Visitors Leadership Program. She is an honorary associate of the University of Technology, Sydney and has been Guest Faculty at Tata Institute of Social Science and the National Law University of Odisha. She received her Master’s from the Tata Institute of Social Science.